I wanted to be the cartoon Cinderella — the the mice sewing my dress. Sigh. what a crazy concoction of inspiration. Love it! Thank you ! How did Maria Grazia Chiuri and Pierpaolo Piccioli come up with that crazy theme indeed ? The result is a perfectly modern take on a timeless heroine ! 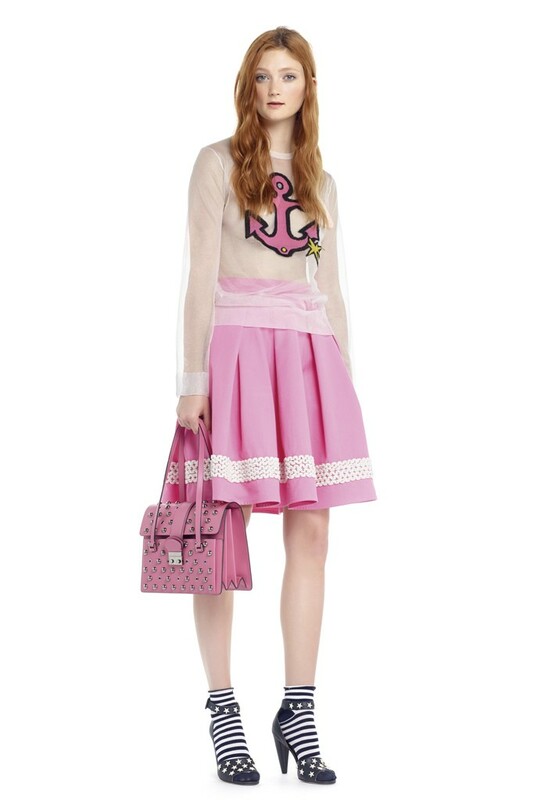 Loving the nautical influence on this super feminine look. This is a wonderful collection! This look goes to show that you can get inspired by anything! Absolutely, thank you ! Designers’ inspirations are magical bottomless pits !